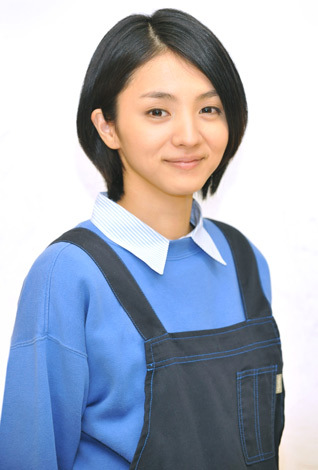 Today, it has been announced that actress Mitsushima Hikari is going to play a kindergarten teacher in "Sayonara Bokutachi no Youchien" (NTV), the upcoming special drama starring child actress Ashida Mana, who is going to become the youngest ever drama starring actress in the history of Japanese TV. The special drama will be about five kids who are about to graduate from the kindergarten. Mitsushima will act as their restrained kindergarten teacher who has completely shut away her heart, so much so that she even lost the ability to love herself anymore. The title of the drama was named after a song which has been sung by kids at the graduation ceremony at kindergartens, and at the end of the drama, the children will sing the chorus to the song. At the recent "34 Japan Academy Awards", Mitsushima won an "Excellent" award for her performance in "Akunin", whereas Ashida already got herself a "Rookie of the Year" award for her role in "Ghost". What could possibly go wrong with two such amazing award-winning actresses in one drama?! Mitsushima commented about Ashida, "Ashida-can is so incredibly cute and smart. Every day at the set was like a blessing for me thanks to her." The production of the special drama will be handled by the same staff who made the popular drama "Mother" that turned out to be Ashida's big breakthrough. While it was a no-brainer for them to keep on working with the incredible Ashida, the producers have also revealed that they've been getting on the nerves of Mitsushima's agency since June of last year to get her to sign on for the role of this special drama. The director said of Mitsushima, "I could feel a truly deep and honest affection from Mitsushima towards Ashida Mana and the other children. When this girl is starting to act, she switches to a whole different world - Mitsushima's world. The difference between her actual self and the time when she is acting is so huge that it easily makes her the most fascinating of all actresses these days." The much-anticipated drama special is going to air at 9 PM on March 30th. Choshinsei to teach Korean through NHK's "Korean Lessons Through the TV"
Aoyama Thelma reveals PV teaser for "Zutto. "!